Robyn Walsh, who now works at Ringtons. Ringtons has appointed Robyn Walsh as its new business development manager. Ringtons Beverages for Business is the wholesale division of the renowned business, famous for its UK-wide traditional doorstep delivery service. Based in Leeds, Robyn joins the 110-year-old family business from an independent coffee company and has a wealth of experience in the hospitality and coffee industry. She said: “Ringtons is an ambitious business with exciting plans in the pipeline, so it’s the perfect time to join the business. “The team have been hugely welcoming and there’s plenty of opportunity and flexibility for me to grow my skills and build up my own client-base in a geographical area and industry I know well. 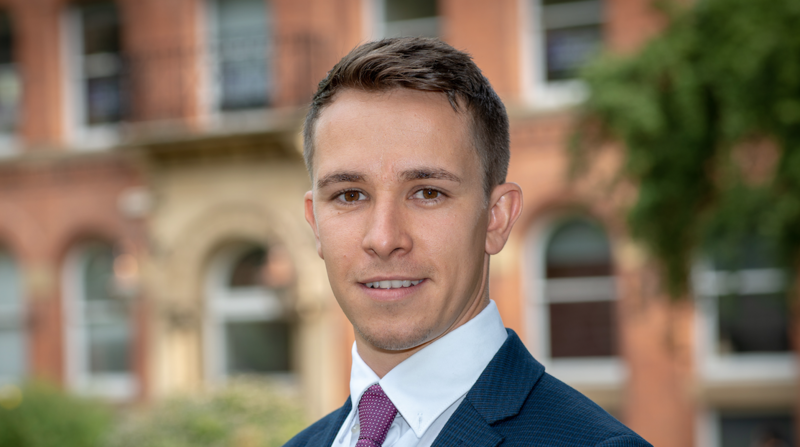 CBRE Leeds has strengthened its property management team with the appointment of Dan Middleton as surveyor. Dan joins from WT Gunson, where he was a chartered surveyor. Dan will be responsible for managing property owned by a number of CBRE’s key local and national clients. Peer-to-peer lender, Assetz Capital has appointed David Reed as regional relationship director in Yorkshire. David has a breadth of experience across a range of industries. Before joining Assetz, David held roles as a commercial director for Leeds-based ERE Property. Prior to this, David had spent 27 years at NatWest in a number of senior roles, including business development director. In his new role, David will be responsible for sourcing finance facilities, such as secured development finance solutions, commercial mortgages and SME term loans, for clients in the Yorkshire and Humber region. He said: “We’ve seen a marked increase in commercial property investment across the Yorkshire region in the last year, meaning that confidence is on the rise and borrower appetite remains high. “Assetz Capital has shown great desire to support businesses that require funding but cannot access finance through traditional means, and this is what attracted me to the role. 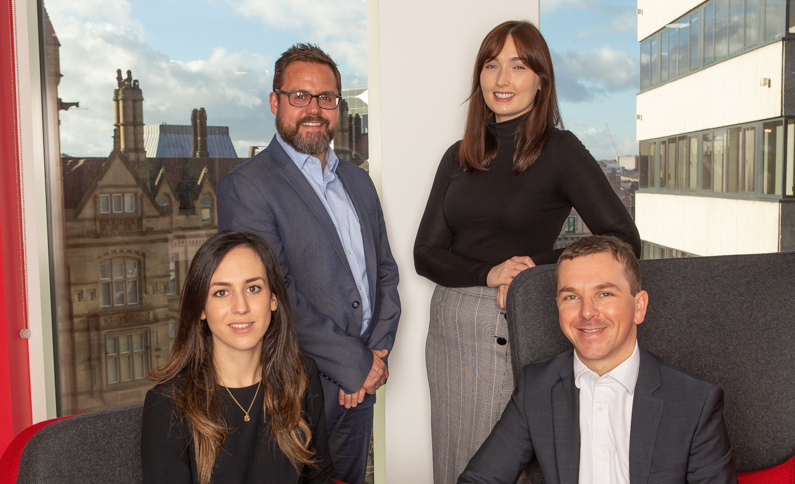 National commercial property consultancy, Lambert Smith Hampton (LSH) has made several key appointments to its growing team in Leeds. 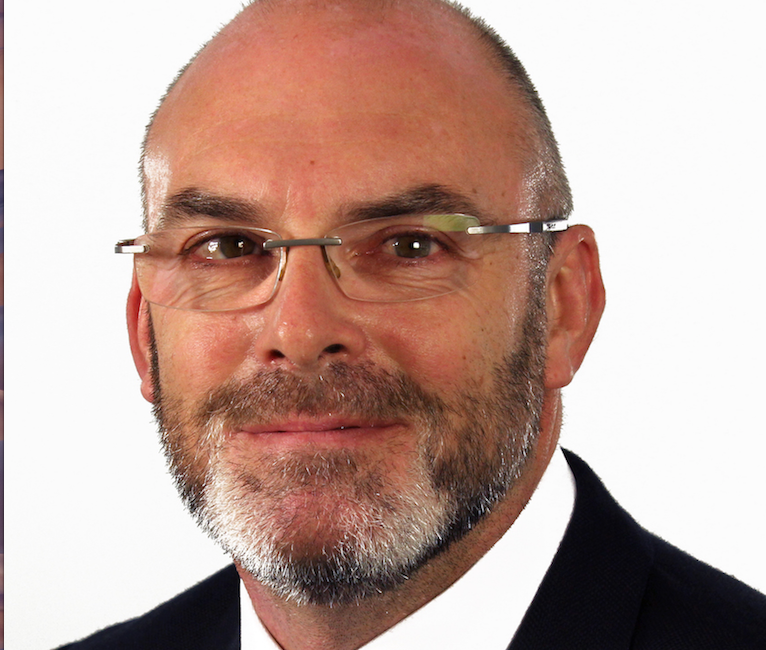 Mark Gaskell has joined LSH as director to head up the lease advisory team. Mark previously worked for Bupa as a corporate portfolio surveyor and has experience with GVA and Cushman & Wakefield in Manchester. LSH’s lease advisory team saw a significant increase in workload during 2018 and Mark’s appointment will see this develop further under his experienced leadership. Alex Bolton comes on board as an associate director in the building consultancy team, making the switch from GVA in Leeds, where he has worked for the past 17 years. LSH is also investing in the next generation of talent with the appointment of Abi Wynn as a graduate surveyor to work in the transport team. Isabelle Furter also joins as a graduate surveyor from Carter Towler. She will develop her experience in the building consultancy team working towards achieving chartered status this year. Jon Anderson, head of office in Leeds at LSH, said: “We’re pleased to welcome our new recruits to the business. “Mark and Alex bring tremendous experience and industry knowhow and will further enhance our offering at an exciting time for the regional office market. A Yorkshire hygiene company has appointed a new CEO to help it “open doors” to customers around the world. 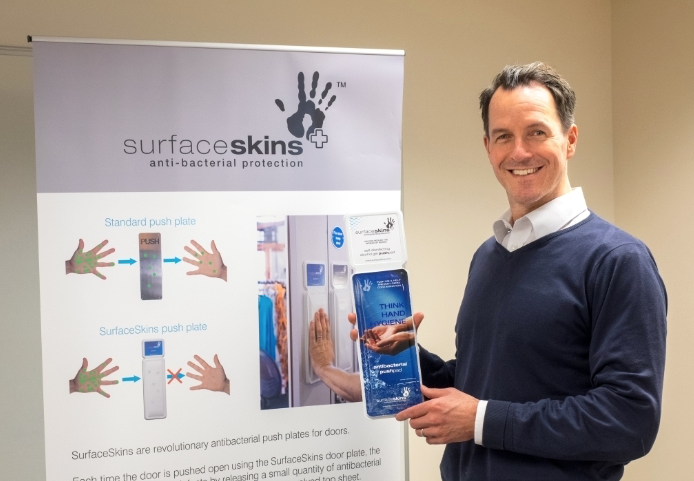 Brian Waligora, a former senior manager with Enterprise Rent-A-Car, has joined Leeds-based Surfaceskins, which has created a revolutionary antibacterial door pushpad, to drive it commercially. Surfaceskins work in conjunction with existing hand-gel dispensers and hand-washing, by ‘eliminating’ doors as an area of contamination, and promoting better hand hygiene compliance giving a boost to infection control measures. Mr Waligora said: “I had left Enterprise after 25 years and was looking for my next venture, when a friend asked if I would like to accompany him to an investment pitch. “Surfaceskins was the idea being pitched and I quickly realised that I wanted in. I come from a family of doctors and hand hygiene was drummed into me from a very early age. “We continue to scale our production output to keep pace with the incredible interest in the product and my focus is on opening doors to new markets not just at home, but across the world.